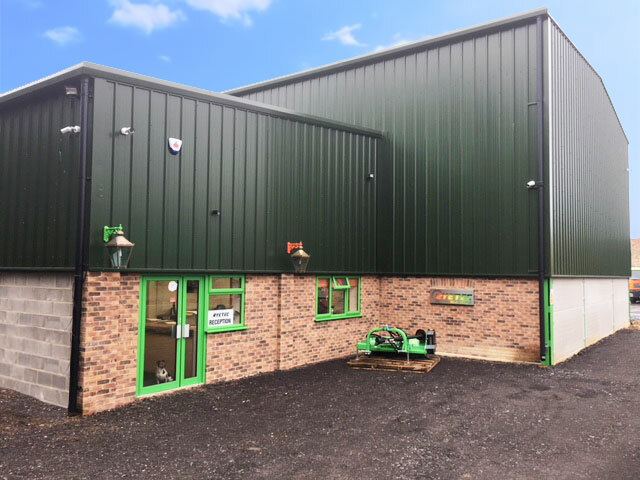 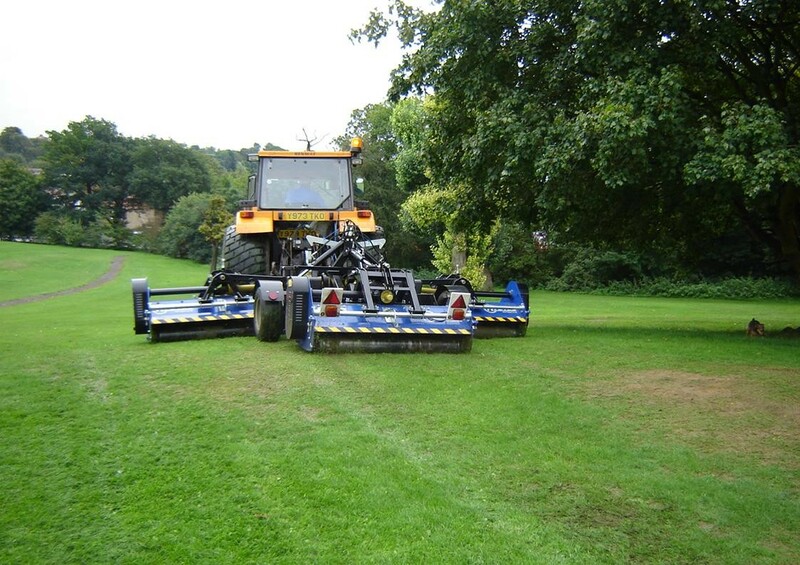 High quality flexible large area mowing, for a finish comparable with cylinder and rotary mowers with minimal running costs and the ability to cut long and short grass, wet or dry without blocking and with uniform spread of cutting across the width of the machine look no further than Triflex. 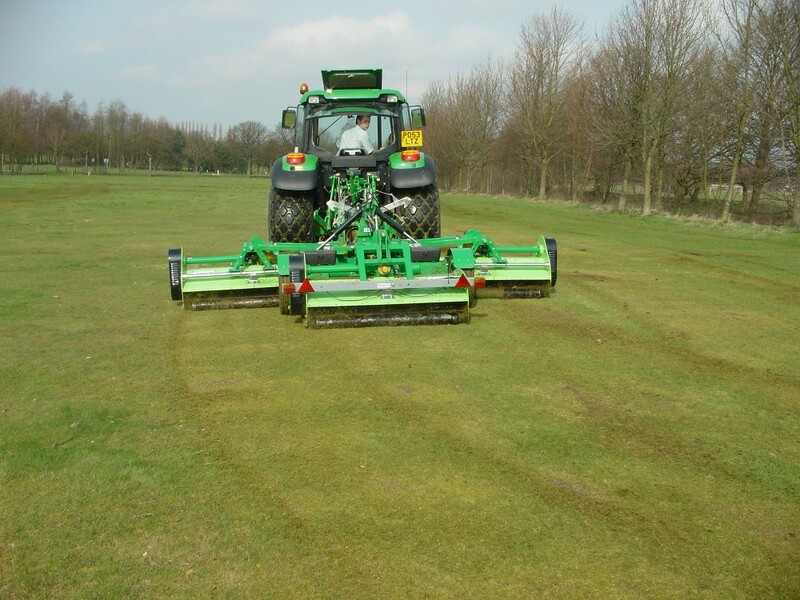 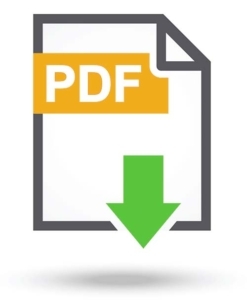 Quick and easy to use and adjust for maximum output and inexperienced operators. 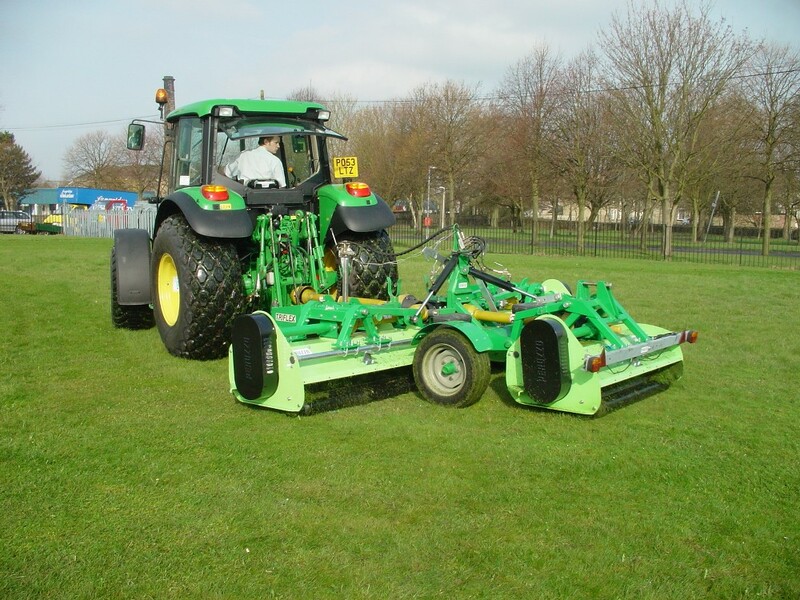 With three independently floating cutting heads the mower is available in either 4.2 or 5 metre cutting widths. 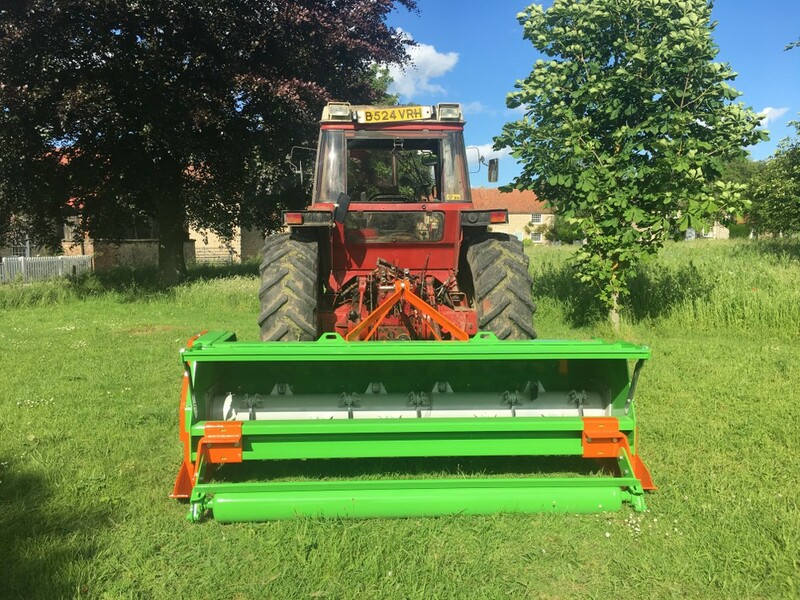 The cutting height of each deck is controlled by a full width rear roller and a single front castor wheel and the decks are able to float in both the horizontal and vertical planes allow very close cutting with minimal risk of scalping. 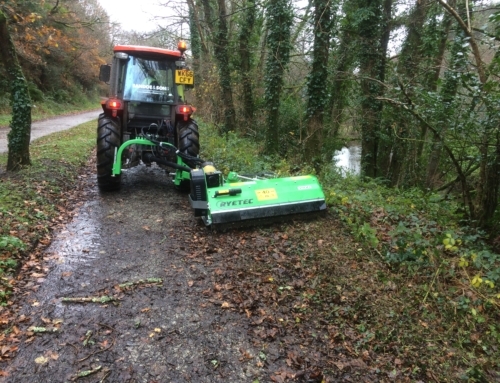 The three decks are carried by a robust chassis unit which splits the tractors PTO power three ways to provide a reliable shaft drive to each head. 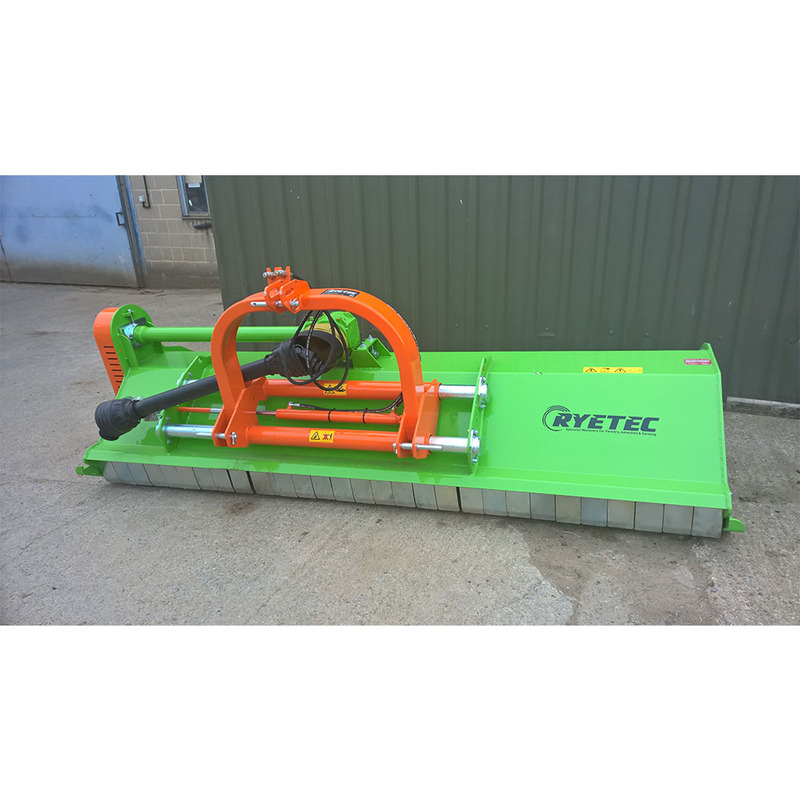 Hydraulic rams allow the heads to be lifted from the ground and folded into a transport width of 2.25 metres for safe road transport. 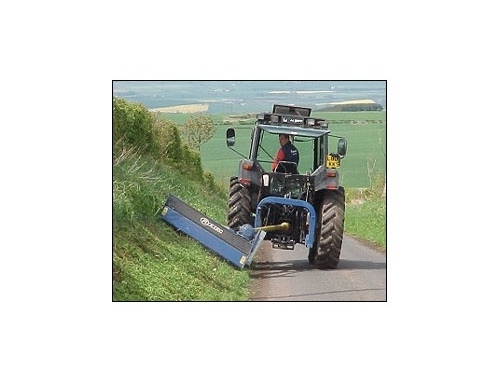 Mechanical auto locks prevent accidental lowering of the heads until released by the operator. 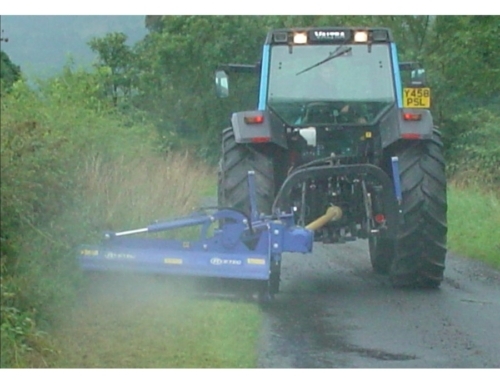 An optional system is available which allow the operator to lift either of the wing decks up to avoid obsacles from the tractor seat, the system automatically stops drive to the deck being lifted and brakes to rotor to a stop in seconds to avoid any danger to nearby pedestrians, drive is automatically enguaged when the deck is lowered to the work position again. 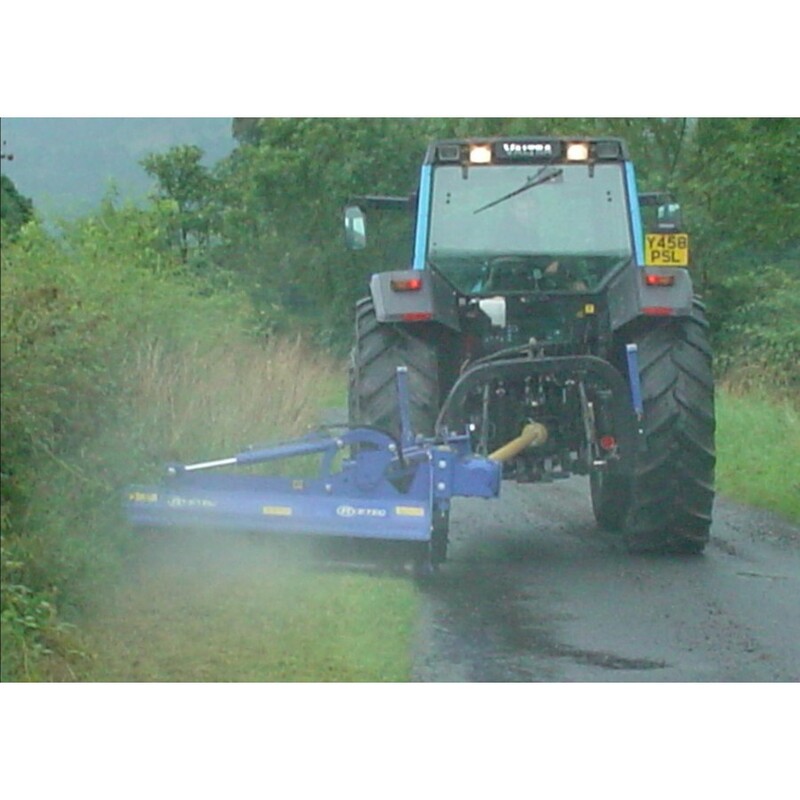 The Triflex is a combination of three identical and well tested conventional tractor mounted flails which have been mounted to a mowing/transport chassis. 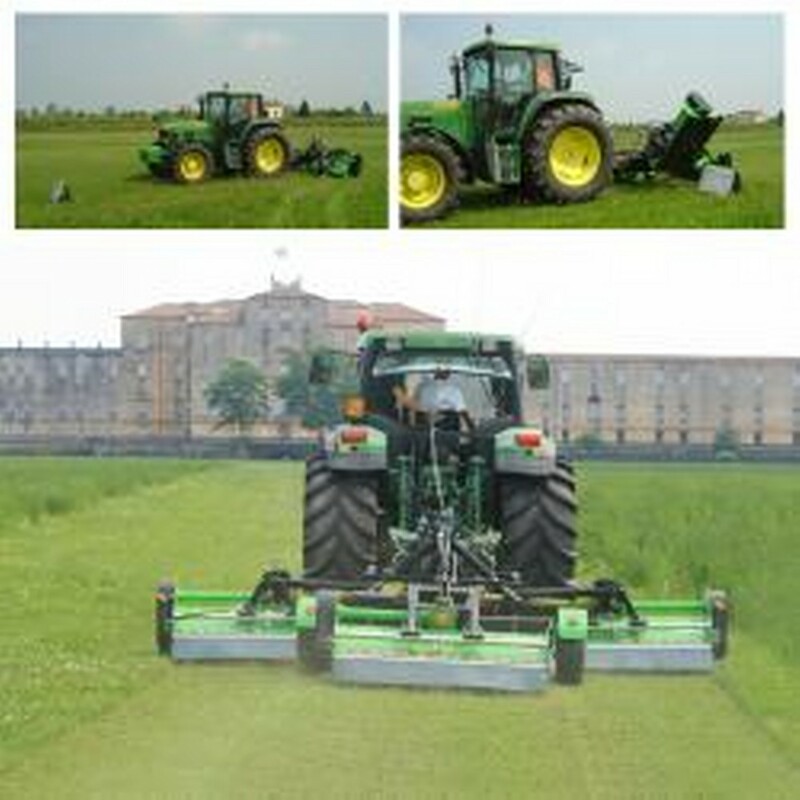 This chassis is designed to mimic the characteristics of a conventional tractor as when the mowing heads were used in their original form. 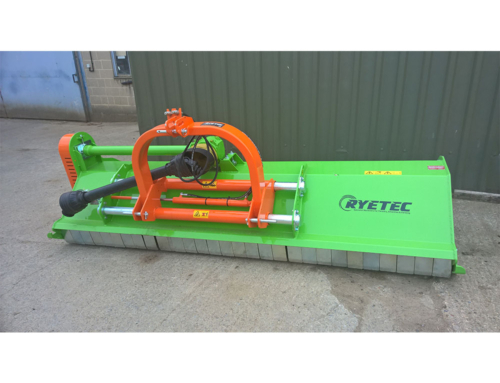 In addition the chassis serves to carry the heads in a convenient ‘package’ for transport between jobs and also for storage when not in use. 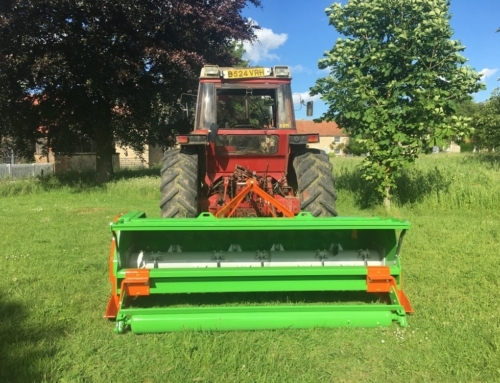 The floating linkage is cleverly designed to allow the mowing heads to move in both horizontal and vertical planes and also to allow them to operate completely independently of each other. 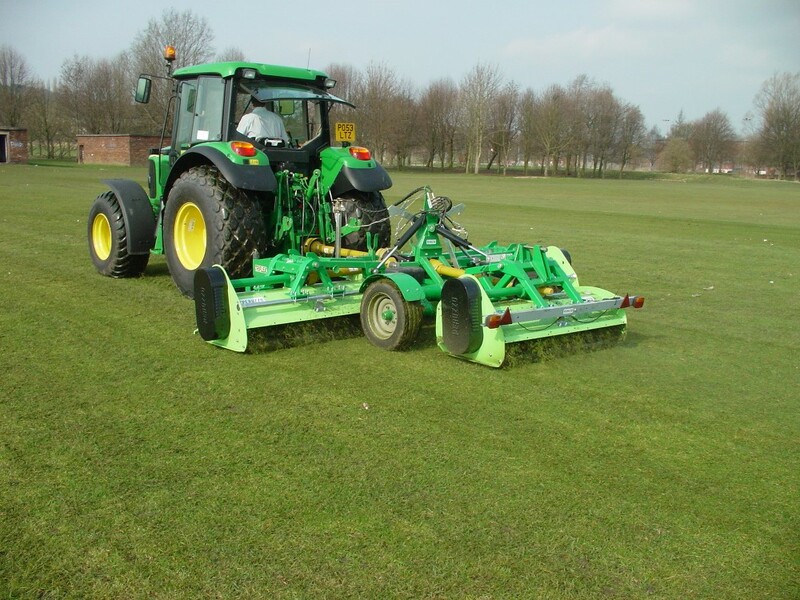 The Triflex can thus effectively mow even the most undulating ground. 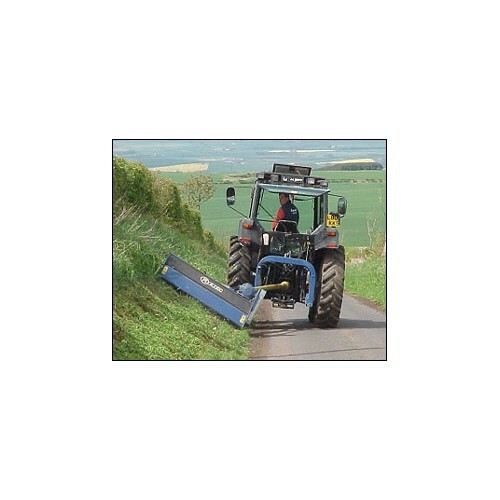 Adjustable drawbar height, chassis and head mounted spirit levels allow for the operator to quickly match the Triflex to the tractor driving it.